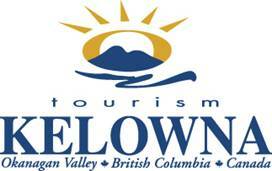 KELOWNA, BC � Tourism Kelowna wants to assure tourists and travel industry representatives that there have been very few cancellations or alterations to fall tour packages, special events or festival schedules as a result of the Okanagan Mountain Fire. 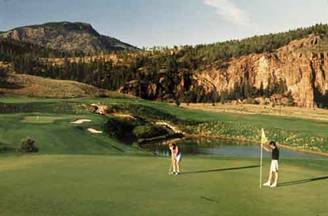 All golf courses except Gallagher�s Canyon are fully operational and the Okanagan Golf Club, home of The Bear and The Quail courses, has been doing an outstanding job of accommodating displaced golfers. �September and October are very popular months for golfers in Kelowna and the surrounding Okanagan Valley and this year is no exception. �We have some of the best golf in Canada and the fall is the ideal time of year,� says Cameron. From September 12 to 14, more than 3,100 competitors from across the Pacific Northwest will converge on Kelowna for the 5th Annual Dragon Boat Festival. The event is expected to draw some 30,000 spectators and will kick-off on Friday night with a concert by the popular band 54/40. �Another event that is expected to break records this year is the 23rd Annual Okanagan Fall Wine Festival, a 10-day food and wine extravaganza anticipated to attract more than 80,000 visitors from across the province, the country and around the world. There are more than 150 events scheduled October 3 to 12, 2003 � from pig roasts, clam bakes and grape stomps to gourmet dinners, vineyard brunches and comprehensive tastings.� For a complete listing of all Wine Festival events, visit www.owfs.com. Situated midway between Vancouver and Calgary, Kelowna is the gateway to British Columbia's Okanagan Valley and is home to the southern interior's only international airport. Kelowna enjoys convenient air connections including direct service from Toronto, Calgary, Edmonton, Abbotsford, Vancouver and Victoria. A favourable exchange rate makes Kelowna an ideal destination for American travelers and Horizon Air offers four daily direct flights from Seattle. By car, Kelowna is a four-hour drive from Vancouver, six hours from Seattle, and seven hours from Calgary. For more information about Kelowna and the Okanagan Valley call 1-800-663-4345, email [email protected], or visit www.tourismkelowna.org.� For the most up-to-date information on the Okanagan Mountain Fire, visit www.castanet.net.